Technology, in today’s world, is moving forward at an ever progressing pace. And as technology progresses, so does the backbone of modern society — money. With today’s technological progress comes one of the greatest revolutions that the concept of money has ever seen, cryptocurrency, the currency of the future. Most revolutions in currency tend to leave the people behind, due to the hours of intensive research and resources necessary to understand and thrive in the new economic environment. But with the upcoming rise in cryptocurrency, we will be bridging the gap between the common user and the mystique around cryptocurrency. How? With Novesta. 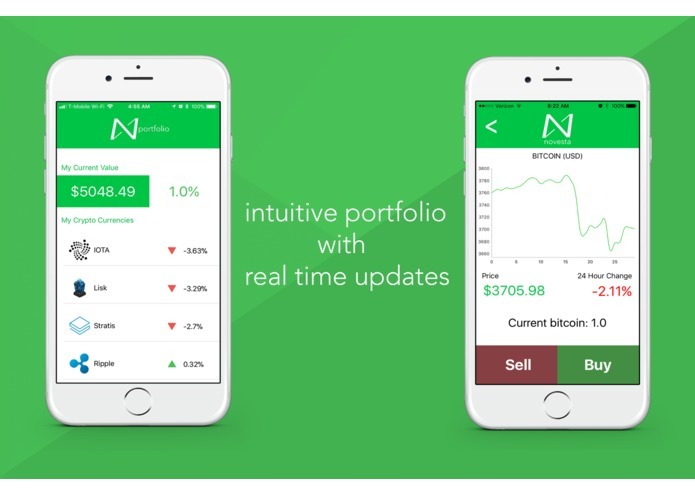 Novesta is a mobile application that educates people on the future of investing, in a fun, competitive, and low-risk environment. 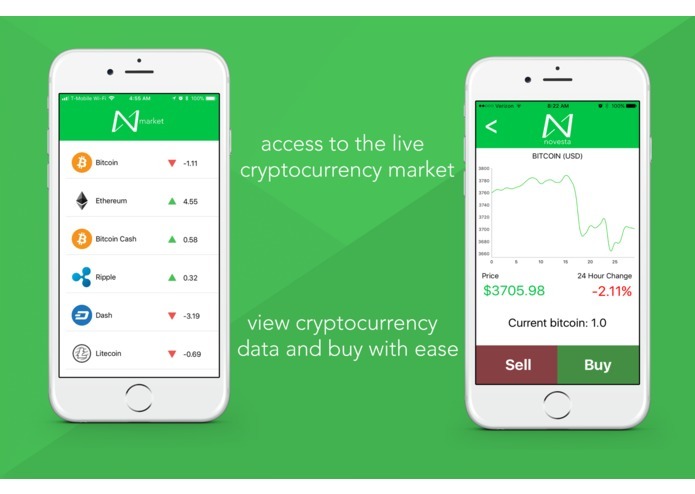 If you are someone who is interested in cryptocurrency, but just needs a way to ease into the complexity of it, Novesta is the app for you. Its main concept is based around the ever popular model of online fantasy football, but instead of trading and building a team of players, you are instead building a portfolio of cryptocurrencies. It starts by forming a league among friends, learning to build a portfolio, trading in real time, and facing off against your friends to try to get the largest growth every week as well as throughout the year. Sort through hundreds of cryptocurrencies in real time, with user-friendly graphs and data analysis, as well as our cutting edge BlackJack price prediction algorithm to make those ever-so important purchases. Users will be able to choose to play for free, or up the stakes by having every player pitch a small amount into the prize pool. 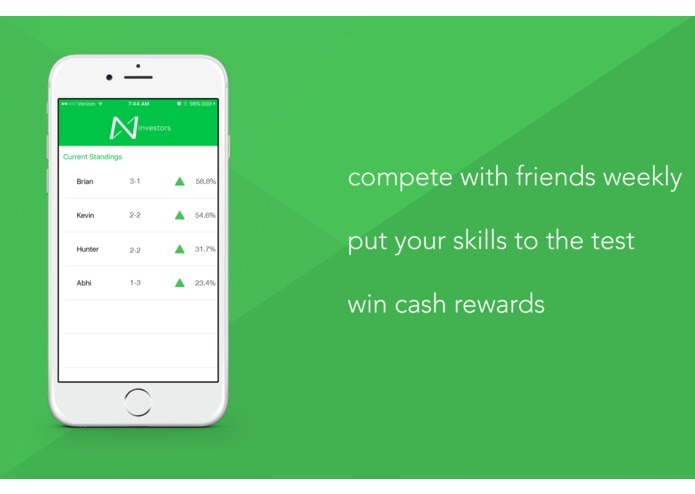 With novesta, you and a group of friends can dive into the world of cryptocurrencies without the high-stakes of risking your hard earned cash into the open market. Novesta is a native iOS application built with Swift and supported by a Node.Js server hosted on Heroku. We utilized Firebase for data storage and many data operations. Market prediction models were written in Python. We also utilized cocoapods to draw charts using the data we’ve collected. Cocoapods was our dependency manager and proved to be very useful in organizing the external packages we used. Machine Learning using Python —We found this to be our most difficult feature as not only were we collecting our own data,but we were using it to create our own predictive analytical models. We spent many hours both handworking algorithms and programming models to fit historical data in order to accurately predict the growth rates of the cryptocurrencies. Data management with Firebase — The core backbone of Novesta is data, lots of data. To support the massive amounts of data that was taken from the web, we decided to use firebase, Google’s mobile platform, to hold our data. This required learning the whole firebase system and setting up a easily accessible database that allowed a smooth experience on the front end. This ended up bringing up one of the hardest parts of data management, actually finding a way to use and access the data. After many hours of trial and error, we managed to create functions that were able to pull data and store them into a more usable array. There were many other smaller challenges such as how to properly assign and delegate tasks among our group, as well as when to sleep (if at all! ), but we are happy to have a finished product and to have overcome these challenges. 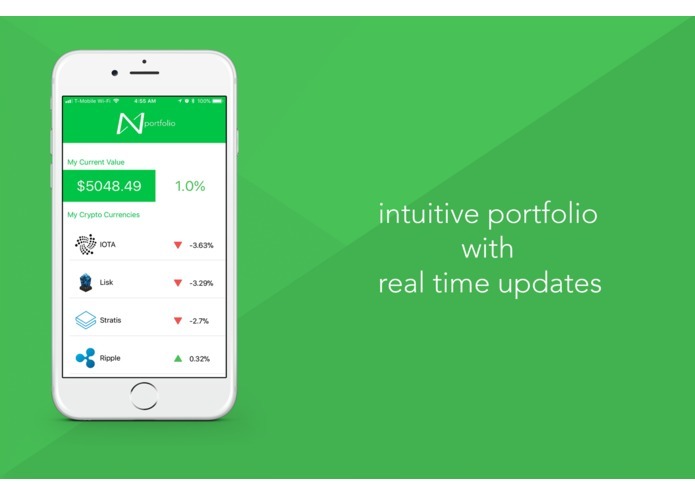 Real time market data update Using the API from— we were able to extract the values of the cryptocurrencies in real time and update the user with live growth rates and values on Novesta. Drawing time lapse graphs on iOS Using the historical data we collected for each cryptocurrency, we were able to plot time lapse graphs in Novesta that automatically update in order for users to view the fluctuation of a currency’s value. Ability to simulate market functions Novesta can accurately simulate the features of a real world market transaction system such as the buying and selling of cryptocurrencies while still maintaining a interface that is easy for users to comprehend. Novesta’s data structure is extremely complex. We had a hard time developing a structure that was appropriate for our purposes. Retrieving and writing data in three different languages was especially challenging. However, over the course of the weekend, we were finally able to develop something that really worked. The process taught us many important lessons, including staying consistent and documenting all transactions. Novesta’s future is unbound. We plan to publish a fully functioning app to the App Store and promote it among all ages to demystify the enigma that is cryptocurrency. The use case for this application is truly present - anyone who has the desire to learn about cryptocurrency can learn about it in a supportive and safe environment. With just a few swipes and clicks a day, anyone can learn the basics of cryptocurrency investing and win money from their skills. In the future, Novesta not only serves as an educational tool, but also a community where players will put their skills to the test against people from all across the globe with the hopes of earning prize money. 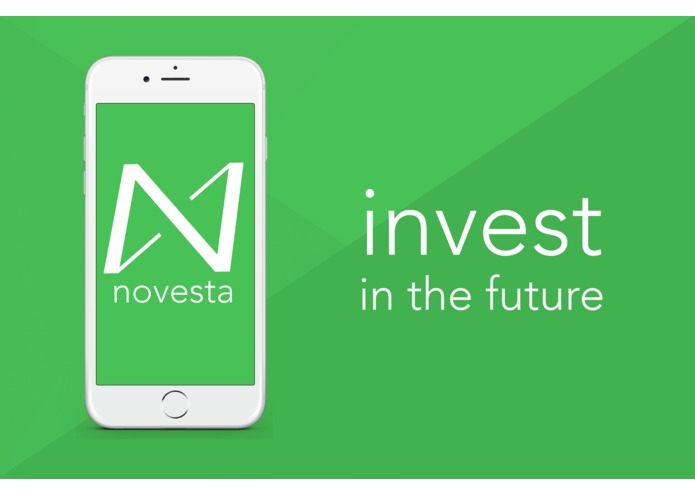 We hope novestra will lead the push in bring promising new technologies in the financial sector to the forefront of everyday life. I was a frontend developer responsible for developing the client side iOS application. I was the lead designer responsible for designing the UI/UX and all graphical features. I formulated various algorithms used in the front end. I also programmed the Machine Learning components in the back end using Python. 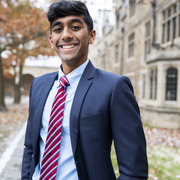 I was the co-lead designer, and helped come up with the idea of the project. I was also apart of the front end development team, helping out with buy/sell feature. I designed the UI/UX, developed algorithms for front end use, and helped establish the business aspect of the project. I was the backend developer for our team. I primarily utilized node.js to manage/populate our firebase database with information relating to users and various crypto. I also contributed to our front-end mobile design by developing our data representation such as graphing, and handling market transactions. 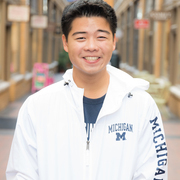 University of Michigan Computer Science student.